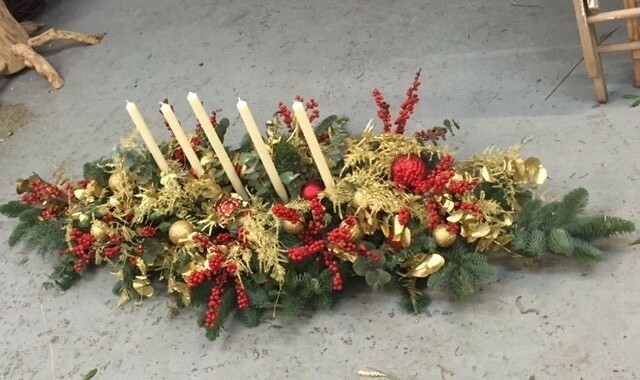 Kick start the Christmas holidays with this wonderful Christmas table decorating workshop. Come along with your table dimensions in mind and we will help you design something fabulous to finish off your Christmas table. You can bring your own props that you would like to use and we will help you with candle ideas and napkin decorations. This will be one of the most exciting workshops and will finish the year off in style. Our usual tea and coffee will be served with a festive cake to celebrate. Posted in Lilys Flower School. Do you share our passion for working with flowers and producing top quality results? Yes? Then please send us your CV and a covering letter. Thank you. We’d love to discuss your floral wishes and requirements. Our office is open from Monday to Friday, 9am - 5pm, and on Saturday by appointment only. Please call us during these hours or email us. If you need to speak to us urgently or outside of office hours, please call 07863 562939.